STEFFI K. | Grafikdesign – On & Offline München the creative freelancer Archives - STEFFI K.
Every brand has unique brand attributes and the logo needs to reach a certain target audience. 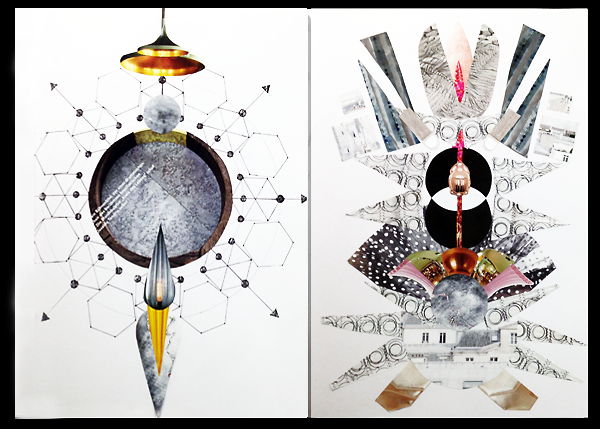 As a designer it helps to create a mood board to collect inspiration and reminders of the brand ideology. A logo needs meaning and purpose. It plays with things we already know. When designing a logo or selecting a logo for yourself focus on the emotion that it evokes. Is it modern, fun, technical, feminine or masculine … ? It should stay true to the brands personality. The logo helps to distinguish your company, brand or blog from its competitors. It’s important to be unique and stand out from the rest. There are so many logos created every day it sure is a challenge to be distinctive. With that in mind, a logo shouldn’t be too busy. Simple is best. Do get inspired by what has already been done before, but make sure to create something that’s just as creative, unique and distinct. 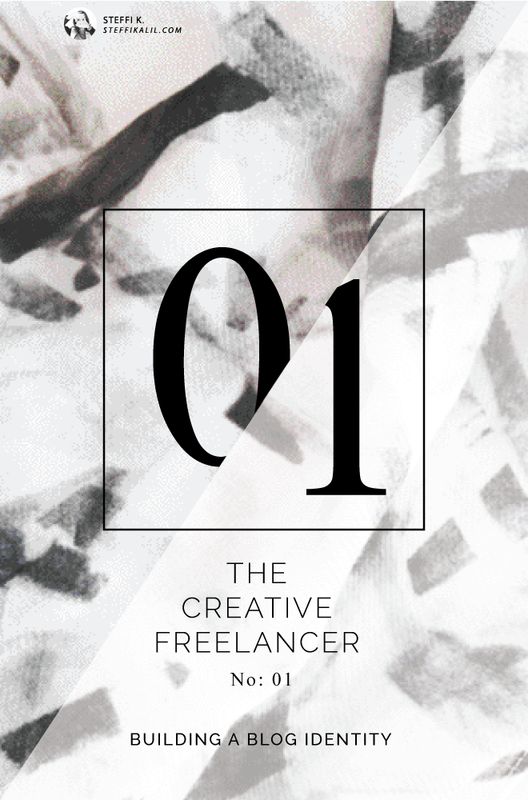 Think creatively and create a one-of-a-kind logo. The logo will most likely be used in a number of different places, whether it’s in the header of a website or the back of a business card. 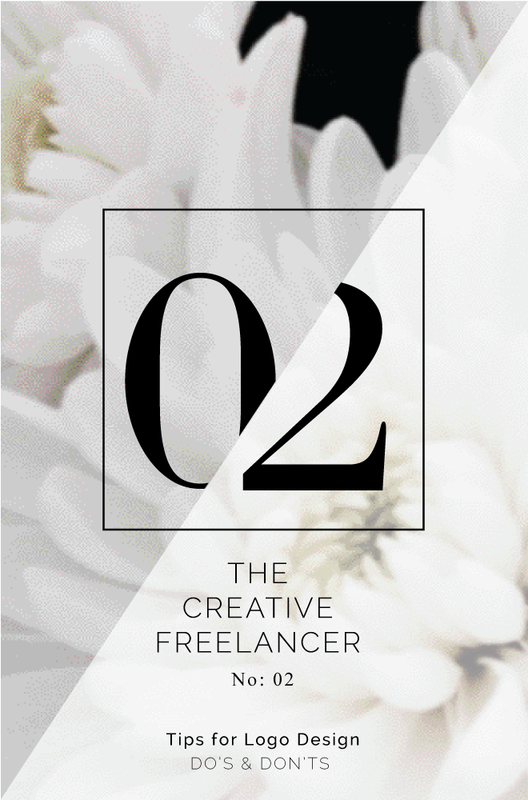 It’s helpful to have variety and versatility when you’re creating a logo for a business or blog. Create a couple compositional variations or create a main logo and a sub-logo to create a hierarchy. Be sure to maintain the same consistency and proportions throughout all variations. the client and I decided to create 3 sub-logos, one for each church. In the sub-logo the other two churches are still visible but they are in the background. 4. Don’t use too many words. Wordiness doesn’t work. Logo’s should be memorable and simple. To create a logo people will remember it needs to be simplified. Focus on the logo, the icon and separate the company name from the logo. To ensure your logo achieves minimalism start by designing it in black and white. This high contrast allows you to ensure all aspects of the logo are clear. Claudia Eigel – FIVE FOR LIFE: the logo in black & white and grey and next to it in color. 5. Don’t change the design of your logo on a regular basis. I know this is hard, especially for designers. We get bored easily and have so many more ideas and inspirations. Why not change the logo again and again? But your logo needs time. Time to get recognised and remembered. Sure you see it all the time but your target audience might see it for the first time or has not seen it for a while. You want them to remember it. Don’t confuse them. Keep your logo consistent and constantly the same. It can be easy to get tunnel vision when you’ve been developing a logo concept. It really helps to take a step back and ask for feedback. It is hard to be objective when you spend so much effort and time on a project. Never ignore the feedback. Instead listen carefully what people tell you, value their opinion. It can really help your process and the outcome of the design. 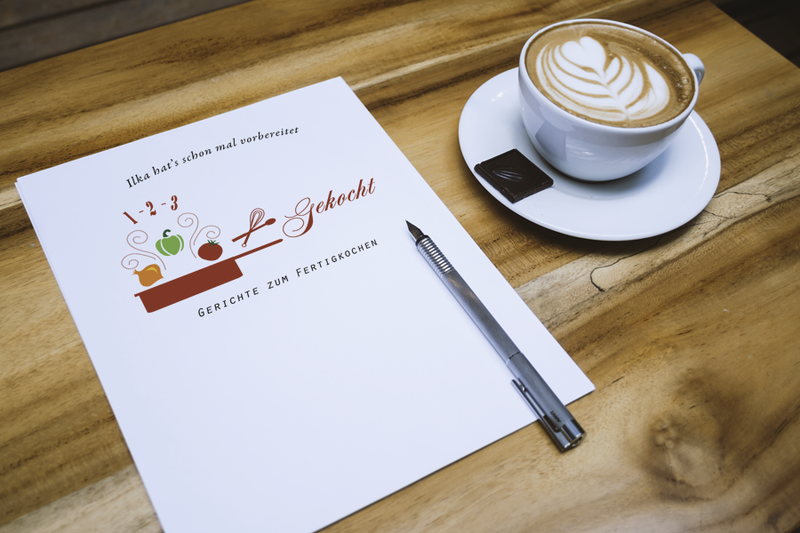 1 2 3 – Gekocht (1 2 3 – Cooked) – the idea – provide the recipe and the ingredients, instead of shopping and preparing yourself. 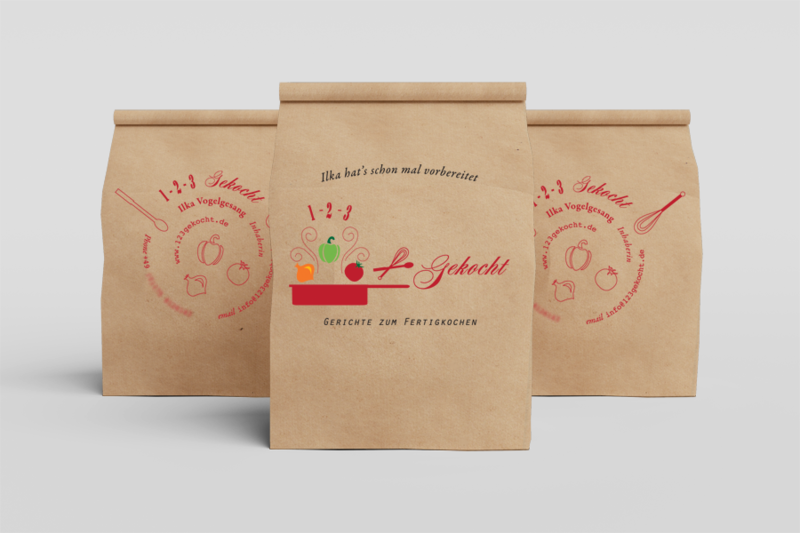 1 2 3 – Gekocht plans the meals, buys the ingredients in your area, and sends them already cut and prepared along with the cooking instructions directly to your house. It couldn’t be more comfortable. Here the ingredients are not only delivered, but even pre-cut, just mix, cook, fry or boil – and this delicious food is ready to eat. 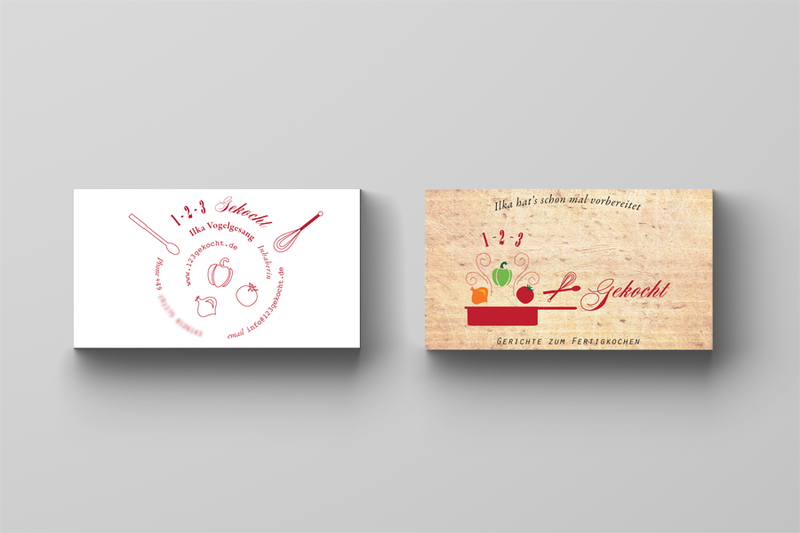 From SteffiK 1 2 3 – Gekocht got a logo, business cards, a letterhead, the design of the packaging and its menu. 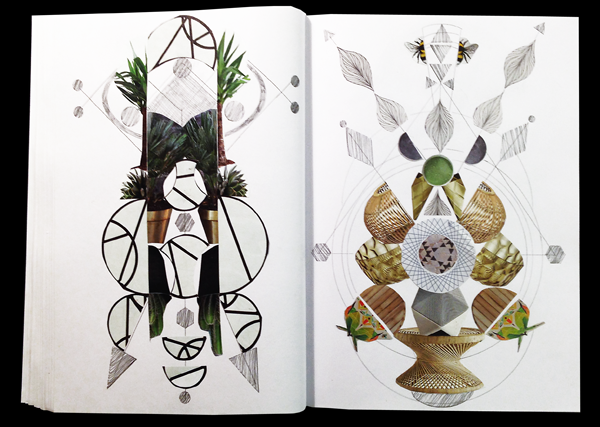 Sketchbooks are a great place to collect and manage ideas. They are also great to explore techniques and styles. I like to use my sketchbooks to solve problems and take notes and trying out different ideas or just to have fun. 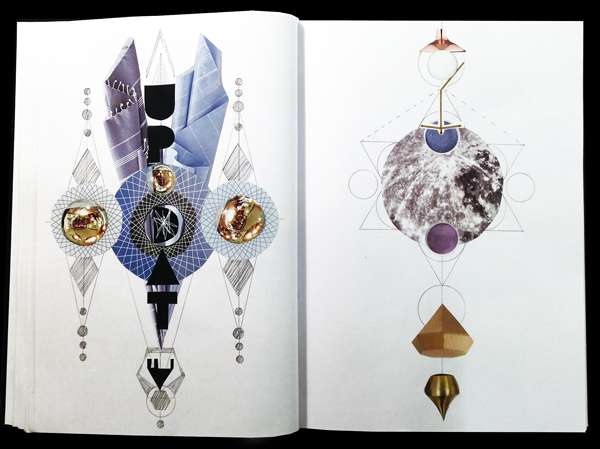 But sketchbooks are not only for sketches. 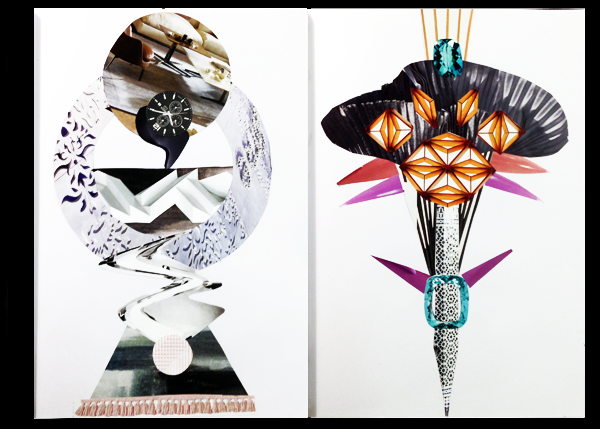 Here I used magazine cutouts to create collages and sometimes I draw on them as well. I like to look at these collected ideas and sketches to get inspired and they are often a great starting point for a new design project. 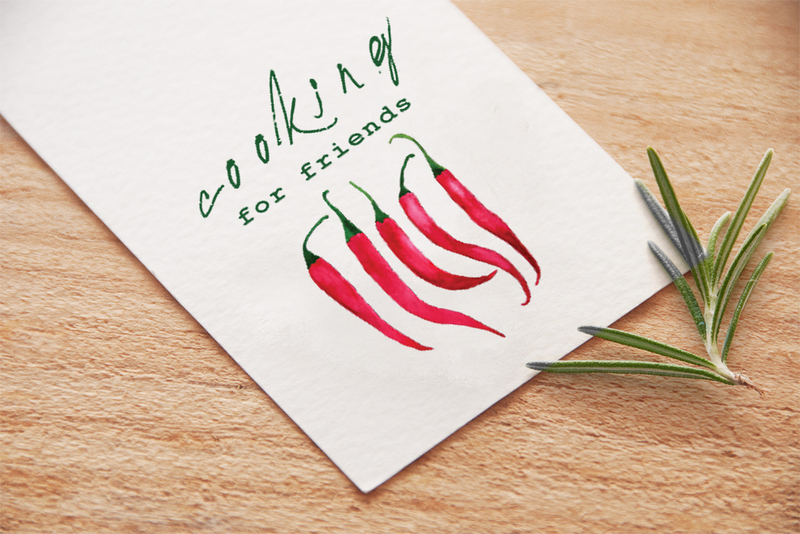 In this post I want to show you my logo/identity design process for the blog Cooking for friends. 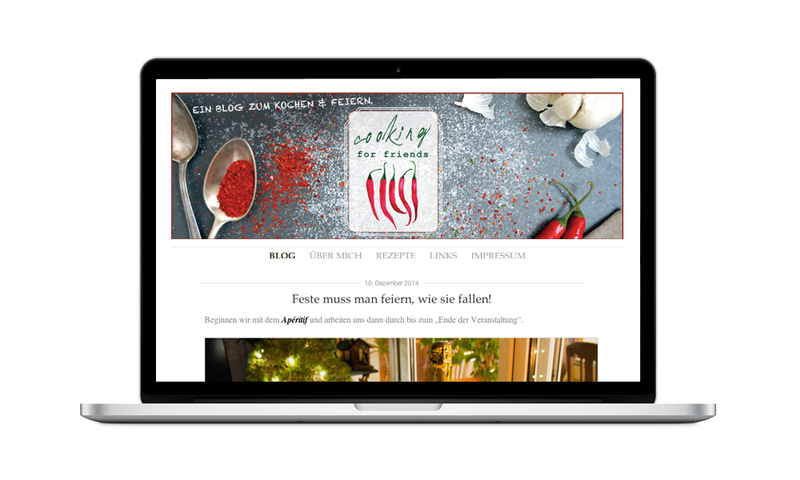 The blog will talk about recipes, ideas for invitations, parties and festivities. „Cooking for friends“ goes two ways, Evelyn is cooking for her friends and her „blog friends“ will be inspired to cook for their friends. Sometimes clients come to me and have already some ideas about what their logo should convey. 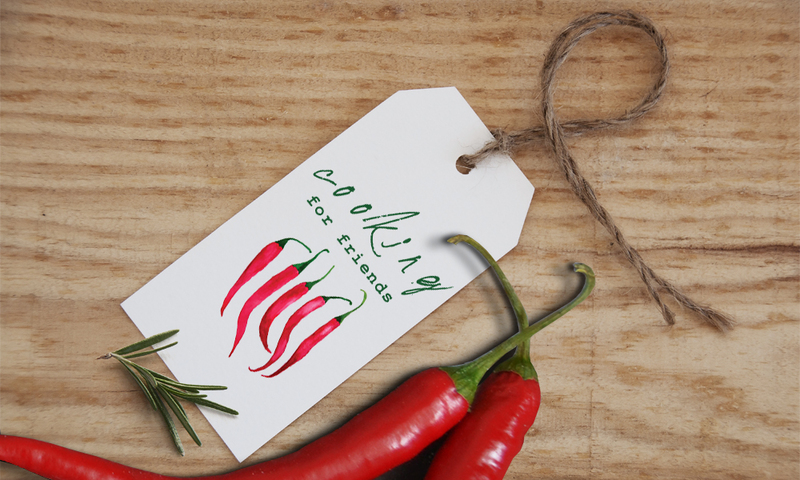 Evelyn knew she wanted to use chili peppers in her logo. 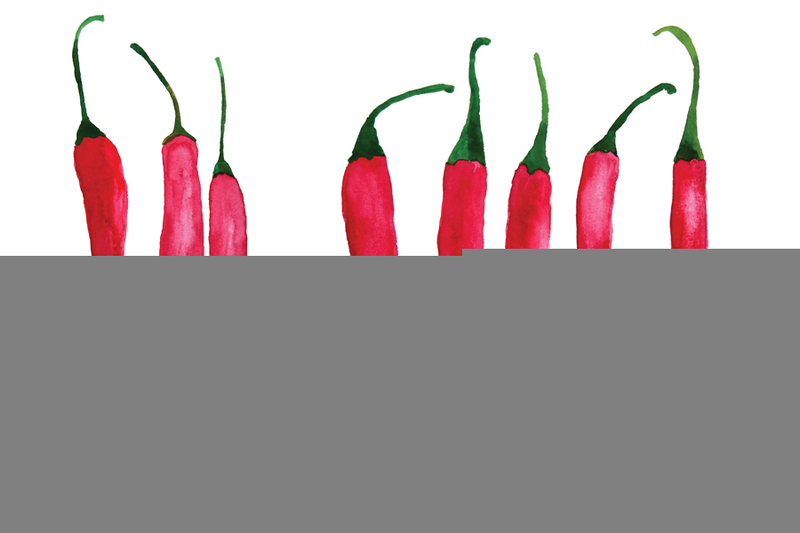 Chili peppers are visually great to work with. They have cool shapes and the red is a great color to add some spice to the design. Usually I need to give the idea some time to develop – a day or two. I’m not conciously thinking about it, but it’s in the back of my head and it starts growing slowly into something more. Then I start sketching either on paper or sometimes I go directly to the computer and start bringing the ideas to life. I then present three of the best design ideas to my client. After that there are discussions, changes & corrections and a new logo/identity is born. I started with some watercolor drawings of chili peppers. 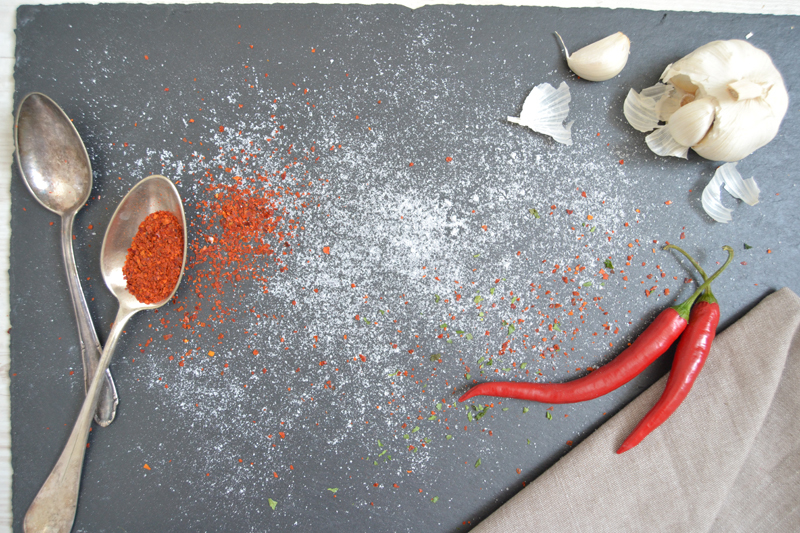 Then I layed out a cooking scene, added spices and props for the blog banner background. Here is one of the originals and other images that I worked on in photoshop. 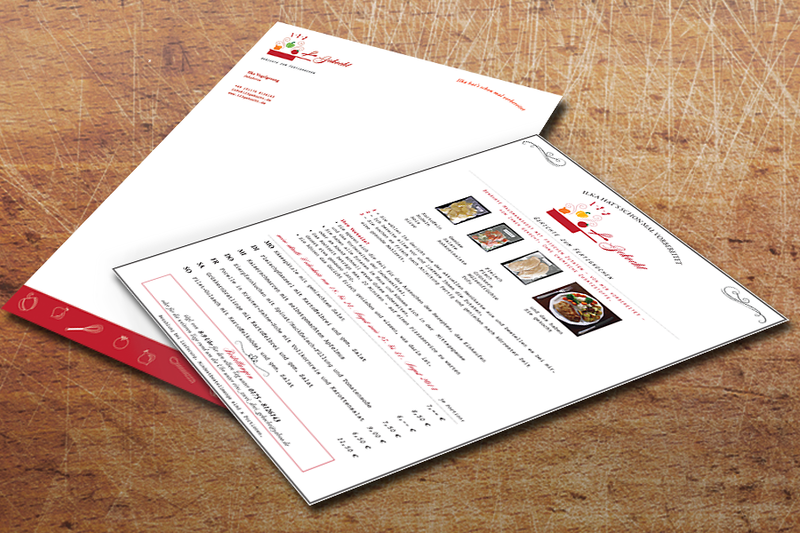 I then added the different logo ideas I had created in illustrator and sent three concepts to my client for review. Every designer has their own approach to the three stages of idea, concept and design. What is your problem-solving process?